Reiki is a Japanese technique, rediscovered in the late 1800s-early 1900s by Dr. Mikao Usui, for relaxation that promotes healing. Reiki is administered by “healing touch” which has been practiced for thousands of years. The most accepted definition of “Rei” means universal. In Reiki, a more accurate interpreted meaning would be higher knowledge or spiritual consciousness, wisdom that comes from God which is all knowing. “Ki”, life energy, is also known as universal life force. Life energy circles through and surrounds everything that is alive. Life energy animates the body and is the primary energy of thoughts and spiritual life. Moving through all things, it can be focused to promote the well being of ourselves and others. Life energy is guided by a Higher Power, today as well as the past. Although not a religion, healing touch has been used throughout history. The Christians, Jesus and Moses, performed healing acts by the “laying on hands”. Indians used medicinal herbs and rituals calling for help from Spiritual Guides. Buddhist believe that healing of the self begins with spirituality. Spirituality takes on many forms which include healing touch. Some believe Reiki joins the East and West in the quest for a holistic spirituality for our time. In today’s modern world, healing touch does not interfere with anyone’s religion; however, I believe it plays an integral part. We are all spiritual beings having human behaviors. People continue to have faith in higher powers and seek those paths for healing but Reiki, as a growing practice, is now being incorporated to balance spiritual paths and help people find their lost selves. Whether it is a church, temple, pagoda, mosque, or other spiritual abode, healing flows among all. Before one is born, one knows no religion. I firmly believe healing touch is divine and exists for, regardless of faith or religion. If one looks at the word religion and takes away the letters l and i, it would be left as region. It might be that in a specific region during a specific time, man used to treat healing touch in a way that bore resemblance to his caste or religion. This may have increased the faith in people to taste the divine medicine and be receptive to it. Nowadays, healing touch is an accepted form of alternative therapy around the world. People are using it in hospitals, the workplace, corrective facilities, and holy places. With the burden of the darkness in the world, healing touch is a very welcomed tool one can have to overcome their fears, balance their chakras, be spiritually guided, and follow a chosen path. One sees the use of healing touch in all main religion and spiritual belief systems. Fairth healing in Judaism, Christianity and Islam, tribes around the world had shamans. Healing touch not only has roots in early religion but in medicine. We read about the great healers Elisha and Elijah, Moses, Mohamed the Prophet and Jesus. In Hinduism, Ayurvedic medicine comes from the same civilization that created the concept of healing touch. In Buddhism, Prince Guatama Siddhartha believed the path to full enlightenment includes knowledge of healing as the first enlightenment. “In recent years the tension between Western medical science and so called “holistic” or “traditional” medicines and therapies has been increasing to a fevered pitch, as demand for these services forces hospitals to include therapeutic touch or else lose patients to competitors. “(1) And although in the bigger picture this is true -nurses have been using healing touch for decades as it is all we have that does not require a doctors order. We were taught to use our hands whether it be an anxious pre surgical patient or a mentally ill person one can use their hands to make a connection and promote calmness. In the past decade the use of alternative medicine and method have increased due to many reasons: the price of healthcare, patients getting turned off by conventional allopathic medicine, and increasing research about the power of positive thinking and the connection between our minds and our bodies. In the increased troubled times we find more people seeking inner peace. In the present religious practices around the world we see evidence of healing touch in many forms as people realize that healing is not just physical but mental and spiritual also. As a raised Christian I have an immense physical, emotional and spiritual stirring when I think about healing touch…not from my religion but rather when I connect with my perception of Jesus walked the earth and healed others. It was personal and focused and freely given if one was open! It was an energy…a connection to that energy and yes an energy exchange. I believe before Jesus and since healing has always been possible if there is openness and desire to connect to that healing…to that energy. Somewhere along the way I believe that religions today, and again I speak mostly from a Christian perspective, tend to miss the mark…miss the person…miss the energy exchange or connection. Dr. Usui’s story highlighting his initial healing of large numbers of beggars and him noticing that soon they returned until he realized his error of “healing them physically without teaching them” is at the heart of why I am drawn to Reiki and Healing Touch in other alternative methods. Where religions have evolved to dealing with large numbers of people, though there is what I call “academic” teaching or “talking at” people, the personal connection is missed. Dr. Usui’s conclusion “that it was necessary for there to be an energy exchange in order for the beggars to value the healing and do something with it.” And him insisting “on this value exchange and on teaching them to heal themselves” is what resonates the most for me. Jesus said something to the effect “all this and more you can do.” That ability comes from within…from an energy connection and then an energy exchange as each of us called to heal ourselves and others move into that energy. History shows the power of healing in all religions and continues today. The gap seems to be in that error that Dr Usui realized. The connection and energy exchange is vital. Hands-on healing, also known as Energy, Radiant or Spiritual Healing, has been practiced by many cultures/religions for thousands of years. In Greek mythology, Chiron, the wise Centaur, taught Asclepius, the God of Medicine, hands-on healing. In Christianity, there are countless tales of Christ providing healing touch to cure people of illness, blindness, and lameness and he also told his disciples to go in the world and do the same. In Buddhism, healing is considered the first path for first enlightenment. All healing is at first to be spiritual. Healing in Buddhism is to not only help people with physical problems, but also to heal mental and emotional problems. Healing touch has been practiced in China for thousands of years- it is called chi and the Hindu use terms such as maya and prana. Ayurvedic healing is a form of healing touch. Healing is a key part of the revelation given to Muhammad in the Qur’an. Islamic tradition attributes several healings to Muhammad. Reiki was re-discovered by Dr. Mikao Usi in the 1800’s. He studied Buddhism and lived at a Buddhist monastery to learn the techniques of healing. He performed four miracles after he received his attunement; on himself when he hurt his foot; when he ate too much food- he did not suffer any ill effects however even thought he had a lengthy fast beforehand. He then healed the farmer’s wife of a toothache and then healed an ailing monk who had arthritis. He also began healing large number of beggars on the streets and eventually realized there had to be energy exchange for the beggars to value the healing and helped them learn how to help themselves. Healing touch/reiki is not considered a religion, but it is still widely used today in various religions- there is healing touch utilized in some Christian churches. Healing touch can be done by a variety of people. Nurses use healing touch for patients and believe they are utilizing God’s healing touch when doing the technique. 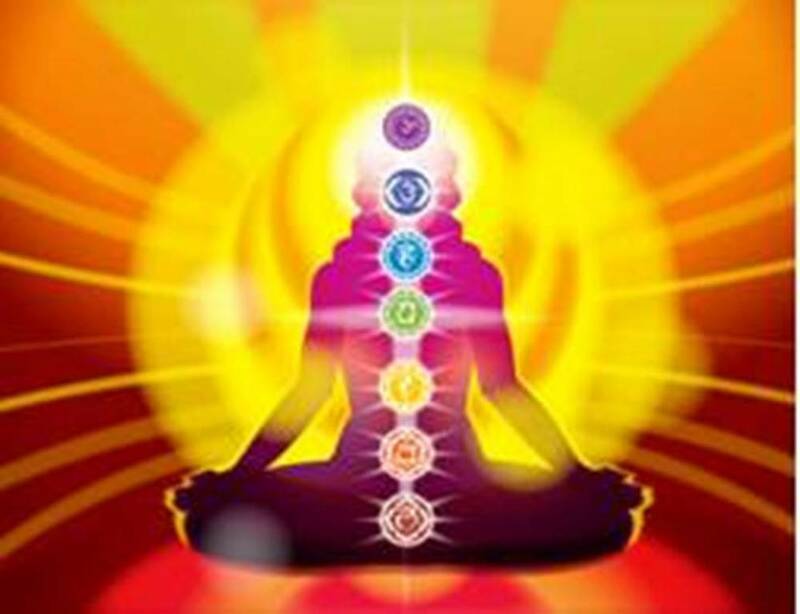 effectiveness of Reiki so it is growing in popularity here as well. Reiki classes are becoming more affordable and available. Many churches are providing Reiki and other forms of healing touch. Besides the traditional in-person Reiki training there is also very affordable Reiki home study courses available to everyone.